World-Championship DNA: While your new CBR500R may never go up against MotoGP World Champion Marc Marquez’s Honda RC213V—there’s plenty of technology proven on the track built into every Honda sportbike engine and chassis. No exceptions here. Power You Can Rely On: The CBR500R’s parallel twin engine offers liquid-cooling, double-overhead cams and bulletproof reliability. This is a great all-around powerplant for just about any kind of riding you’re dreaming about. Sporting Riding Position: The CBR500R’s riding position is right in the sweet spot without being too aggressive. Not too forward or too laid back, it’s great for commuting or carving up a canyon. 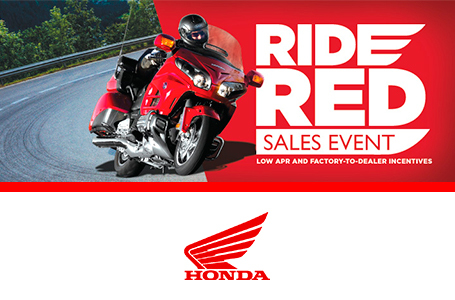 Finishing Touches: There is a full line of Honda Accessories for the CBR500R. Tailor your new bike to your needs with everything from a sport screen or color-matched passenger seat cowl to even carbon-look accents. Perfection is in the details. Steel-Tube Frame: A motorcycle’s frame is the basis for its handling. A take on a classic construction, the CBR500R’s diamond-shaped 35mm steel-tube mainframe ties to the engine with four mounts, offering a rock-solid foundation for a superior ride and handling. Disc Brakes: The front 320mm disc brake and 240mm rear provide strong stopping power. The front-brake lever is also adjustable for a perfect fit. Stainless Steel Exhaust: Beautifully polished stainless steel exhaust is integrated with the rear footpeg set for clean, functional design. The exhaust tucks in tight for better mass centralization (and consequently better handling) while also providing a crisp exhaust note.